, otherwise known as a Quality Log or Project Log, helps you to record the current quality of deliverables within your team. By recording the current status of each deliverables produced by your team, you can monitor and control the actual levels of quality achieved. 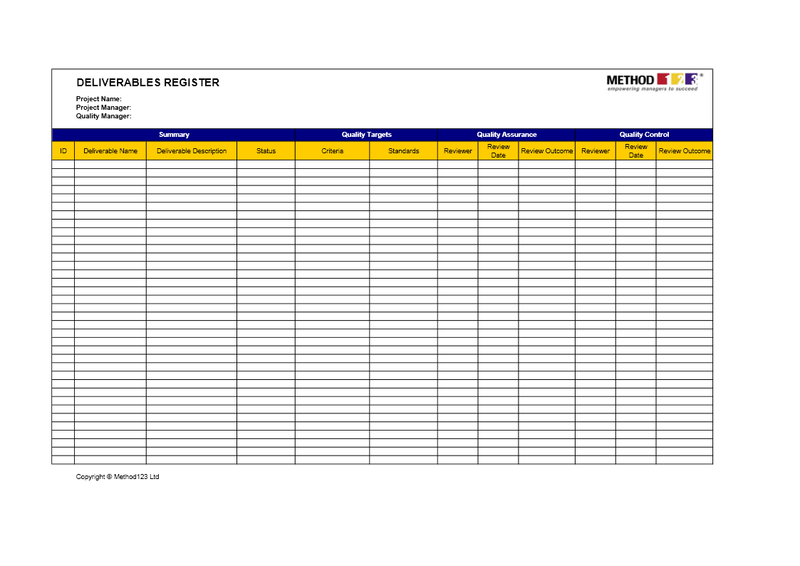 This register is a core tool used in Total Quality Management, as it allows you to keep an eye on the quality achieved, and implement quality improvement actions as needed. Now includes both English and 简体中文! 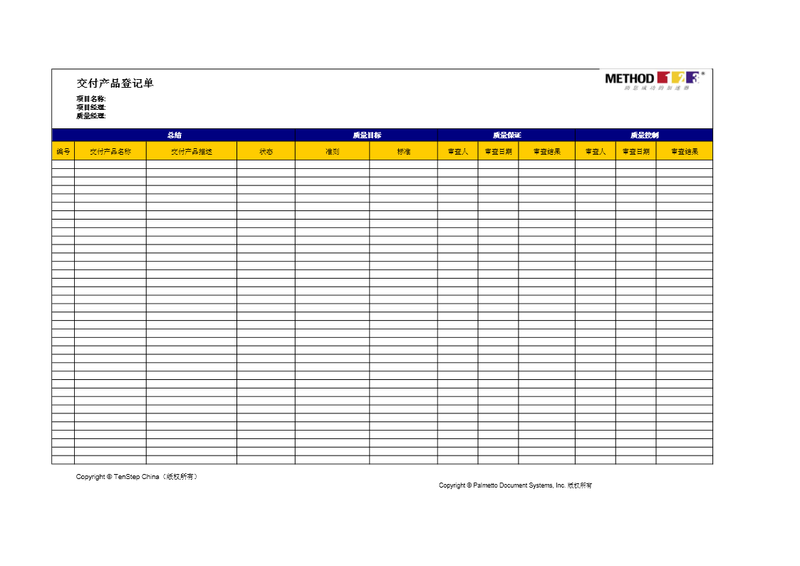 By using this quality log to record the status of your deliverables, you can identify quality issues early and boost your changes of meeting the quality targets set.